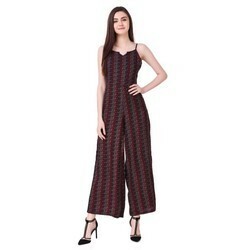 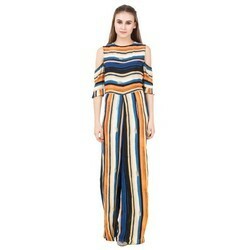 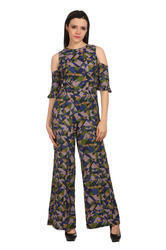 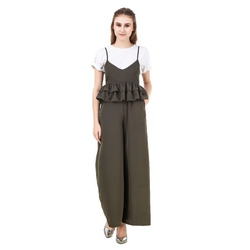 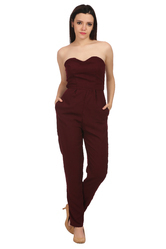 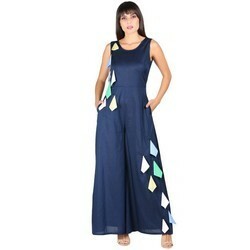 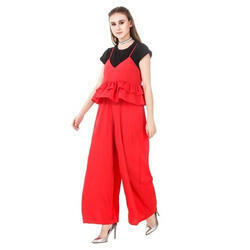 Leading Manufacturer of women's western vertigo jumpsuit, ladies sleeveless designer jumpsuit, maroon off shoulder designer jumpsuit, western black designer jumpsuit, flower print western jump suit dress and ladies jumpsuit for ladies from Noida. 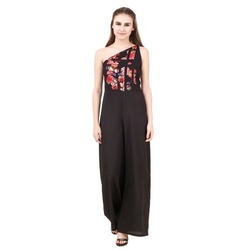 Flared hem, elasticated waist and concealed zip detail on back. 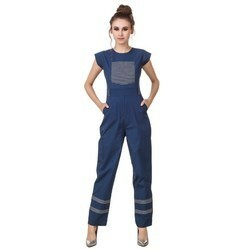 We are one of the leading manufacturer and supplier of Hand Printed Cotton JumpSuit.We obligated to meet the quality standards as per the customer demand.